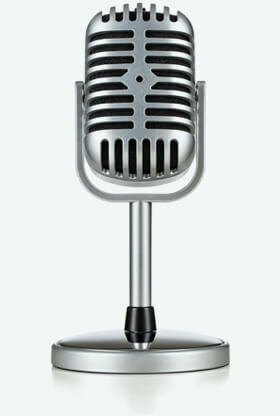 Get a Voice Talent for your YouTube Videos/ Image Films, Telephone, Advertising, etc. Use the Configurator to select speakers, music and text in just a few steps and send to us directly as a request. We compose music according to your preferences and add sound effects to your videos. Select the Royalty free Music that fits perfectly to your project. easy to licence - no additional costs. Select a suitable musical piece that perfectly fits your company. Our multilingual templates help you create your own prompts very fast. Get an offer from us within a very short time. We work exclusively with professional speakers in over 18 languages ​​and dialects (German, Austrian, Swiss, UK English, US English, Canadian English etc.) You can select your speaker or narrator in our classic selection menu or in our new Prompts configurator. We will gladly handle the selection of an appropriate voice or give recommendations. Lynn All About Training, Inc.
Zac N-Patrol Security Systems Inc.
We produce your individual audio prompts in different languages, according to your text specifications and in perfect studio quality. We produce prompts for your YouTube videos or similar video clips. Upon request, we optimize your text or provide text suggestions. Our complete royalty free music archive is available for your production needs. Choose your pre-produced prompts from more than 9 languages including royalty-free music and in the most popular audio formats - Instant Download. You can book our speakers for advertising (TV, radio, Internet). We translate your text in 9 languages. You can find more information here. We compose music according to your requirements and add sound to your videos with sound effects.